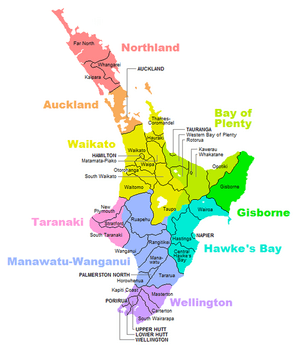 For other uses, see North Island (disambiguation). 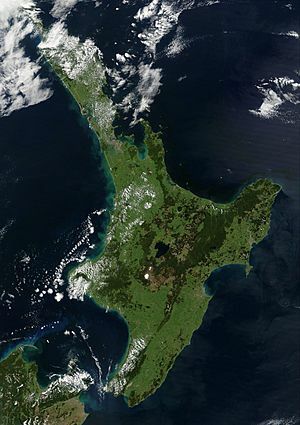 The North Island or Te Ika-a-Māui (Māori) is one of the two main islands of New Zealand, separated from the slightly larger but much less populous South Island by Cook Strait. The island's area is 113,729 square kilometres (43,911 sq mi), making it the world's 14th-largest island. It has a population of 3,596,200 (June 2016). According to Māori mythology, the North and South Islands of New Zealand arose through the actions of the demigod Māui. Māui and his brothers were fishing from their canoe (the South Island) when he caught a great fish and pulled it from the sea. While he was not looking his brothers fought over the fish and chopped it up. This great fish became the North Island and thus a Māori name for the North Island is Te Ika-a-Māui (The Fish of Māui). The mountains and valleys are believed to have been formed as a result of Māui's brothers' hacking at the fish. Until the early 20th Century, an alternative Māori name for the North Island was Aotearoa. 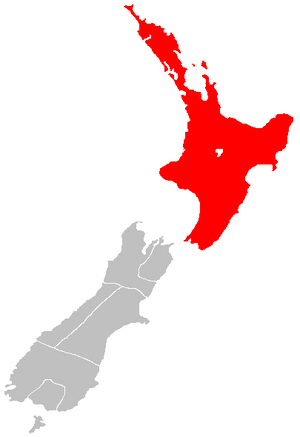 In present usage, Aotearoa is a collective name for New Zealand as a whole. 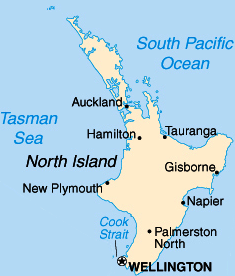 The North Island has a larger population than the South Island with both the country's largest city, Auckland as well as the capital, Wellington at either ends of the island. North Island Facts for Kids. Kiddle Encyclopedia.